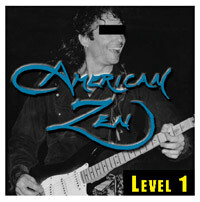 American Zen was founded in 1992 when Coyote moved to Salt Lake City, Utah. Prior bands included The Rich and Coyote in a Graveyard rock opera. Coyote is also Buddha Zhen who records Tai Chi and Kung Fu music. 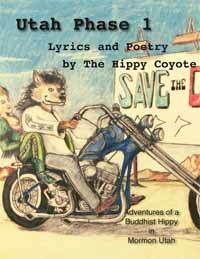 Shaolin Records is releasing the acoustic solo recordings of The Coyote under the new band name, THC The Hippy Coyote, although his last gig at the Tribal Cafe, Los Angeles, in 2013 was billed as "Kung Fu Cowboy," not American Zen. Shen-Lang Zhen, Spirit Wolf of Truth, is known as "Master Zhen," or "Buddha Zhen" to his Kung Fu and Tai Chi students. Performing Chinese flutes and the pipa, Buddha Zhen creates what some people call, "Chinese Folk Rock." Subject of Photo: Coyote w/Pleasant. Related Album: Christ Killer by AmZen. Related Story: Shot before Utah. Subject of Photo: Coyote concert. Related Album: L1 Peace Of Mind by AmZen. Subject of Photo: Coyote move to Utah. Related Album: Level 1 and Level 2 by AmZen . Related Story: Utah girl kills Coyote Graveyard band. COPYRIGHT 2014 Shaolin Music. All rIghts reserved. 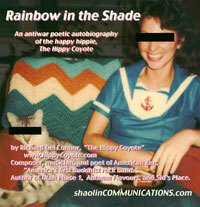 Links to EPK webpages of books by Richard Del Connor, The Hippy Coyote, Buddha Zhen, or Rachel Connor. Links to EPK webpages of movies: Kung Fu Cowboy Rock & Roll Movie 1, and Kung Fu Cowboy Documentary. Links to music videos featuring American Zen. Links to the various subsidiaries and enterprises that include Shaolin Records, Shaolin Music, and Shaolin Chi Mantis. 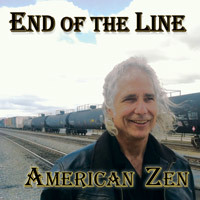 Links to Shaolin Records press releases related to End of the Line album by American Zen. where inspired by History of Zen book. Related Story: Is Coyote a prophet? Subject of Cover: Cute girl and cat. Related Album: Memorial Day Album. Related Story: Coyote's draft number in 1972.
for End of the Line album after photos. Related Story: Coyote's Marshall amp. 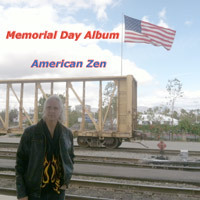 American Zen is led by The Hippy Coyote who fronts the band on flute and acoustic guitar. Coyote is a renaissance man who writes all the music, lyrics, and poetry. The Christ Killer album cover is a self-portrait by Coyote near the tomb of Rudolph Valentino.